Treating yourself now and then with a delicious, sweet treat is important. While it is necessary to eat vegetables and fruit every day, allowing yourself to indulge in rich chocolate, ice cream from Dairy Queen, or a simple cake is a tasty way to reward yourself the end of a hard day at work or great way to treat your taste buds. Although a popular summer treat, S’mores can be enjoyed all year around because you don’t need a campfire to create it. All you need are some graham crackers, milk chocolate pieces, and a marshmallow and either a stove or fire to melt it. If you want to take the S’mores to a whole other level, you can bake S’mores brownies, cakes, pies, and even serve with a scoop of vanilla ice cream. Waffles are not just a breakfast food! In fact, they can be enjoyed midday or as an after-dinner indulgence. All you have to do is whip up some plain waffles (add chocolate chips to the batter or on top) and garnish with ice cream, syrup, berries, crushed nuts, and even chocolate drizzle. Whether you enjoy milk, white, or dark chocolate, you can enjoy all three in the form of fondue. Dip strawberries, bananas, and dried fruit into the fondue and enjoy the sweetness! If you are a peanut butter fan, then add a blob of peanut butter to the fondue and allow it to melt before dipping. Ice cream sundaes are perfect because of their versatility. Try creating a lemon pie sundae with vanilla ice cream, lemon pie filling, and a sprinkle of pie crumble on top. Or, make a sundae with vanilla ice cream, chocolate brownie pieces, maraschino cherries, and chocolate drizzle for the ultimate indulgence. Bark can be made with either chocolate or yogurt, depending on your preference. All you have to do is mix melted chocolate or fresh yogurt with your desired add-ons, like chocolate chips, nuts, or candy pieces and freeze for a few hours. Then, break it apart and you have delicious bark! Cupcakes are a great option if you want to indulge your sweet tooth all week long because a batch yield between 10-20 cupcakes. Moreover, you can dress the flavor up however you like. Try a chocolate, vanilla, lemon, or cake batter cupcake dough and top with buttercream or cream cheese frosting. For a garnish, try some blueberries, lemon peel, sprinkles, or even sea salt caramel drizzle. These pies can be whipped up into big or small ones, and are guaranteed to make your taste buds scream. All you need are chocolate cake circles that can be made with a quick cake mix, and creamy vanilla or chocolate frosting. Whoopie pies are delectable because of the light, fluffy cake and the sweet and rich filling. This sweet treat is versatile and will leave you feeling satisfied after one bite. Take some fresh vanilla yogurt, berries, granola, chocolate chips, caramel or strawberry drizzle, and sprinkles make this the ultimate parfait. This is a great idea if you have children or guests staying over, as you all you have to do is leave toppings out so everyone can create their own. This is no longer a breakfast food or hiking food only! Granola can be enjoyed all day long and is extremely versatile to make. It can be used as a topper for ice cream or yogurt. If you want to make a delicious granola, then add chocolate chunk pieces, peanut butter, nuts, dried berries, and sea salt. Cookie bars are probably one of the quickest and most satisfying treats you can whip up in your own kitchen. Try peanut butter cookie bars, sea salt caramel cookie bars, shortbread inspired cookie bars, and even Skor bit cookie bars! There is something about a rich, melt-in-your-mouth piece of cake that can’t be beat by anything else. 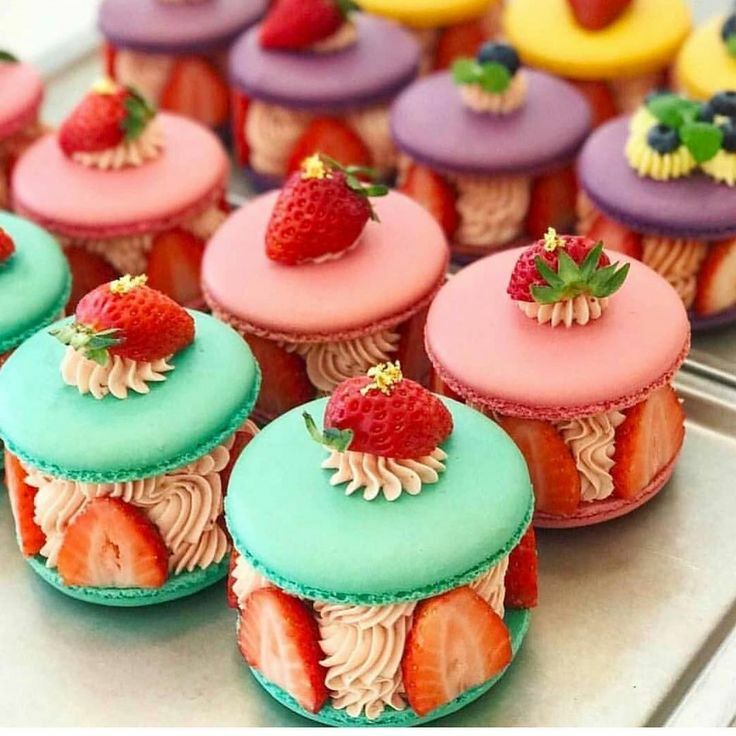 Red velvet cakes, double chocolate cakes, pound cakes, shortcakes, and even sponge cakes take some time to create, but they will without a doubt leave your taste buds feeling overwhelmed and satisfied. The next time your taste buds have a hankering for something sugary, give one of these treats a try and experience the ultimate indulgence. Most of these foods can easily be whipped up in the kitchen or purchased at a local grocery store. Eating healthy is important, but so is allowing yourself to enjoy a little something sweet every now and then!